I will admit it. We are messy up in this house from time to time. 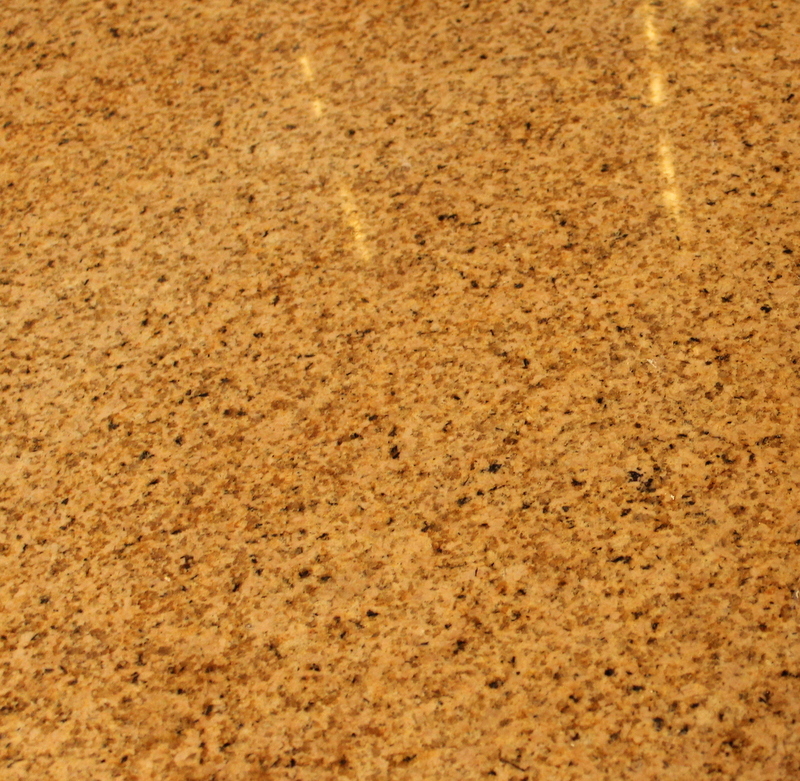 I love my granite counter tops but let me be honest, if I knew how much work they would be I would have thought twice about them, especially a light color. Granite is porous. It absorbs things. Especially greasy things, if you don’t keep the granite sealed. 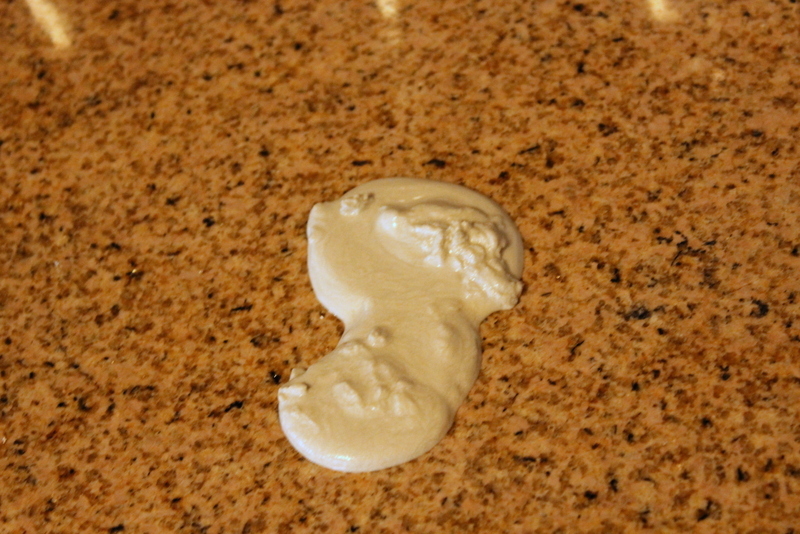 I sometimes forget to seal my granite regularly. Here are the most recent stains. 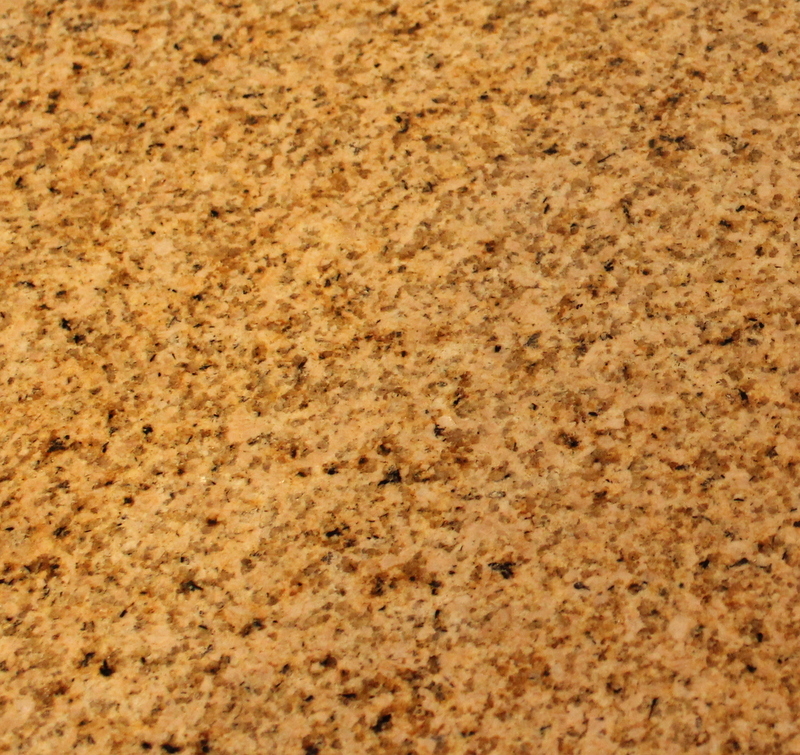 I used to freak out a little about stains on my granite but I have learned to deal with the stains painlessly and without spending a fortune. 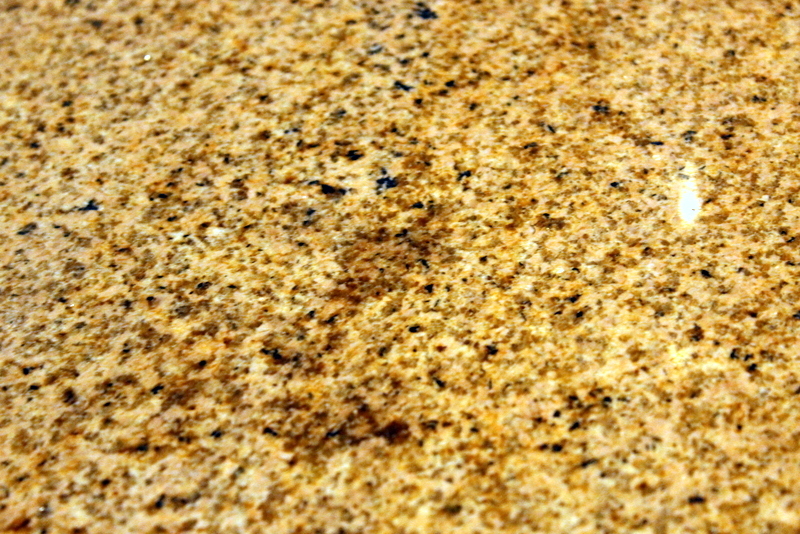 Our granite does not have any added color so do not do what I suggest if your stone was ever tinted. The solution is acetone, talcum powder, and plastic wrap. Get a bottle of pure acetone. Don’t try to use nail polish remover. You will also need talcum powder. 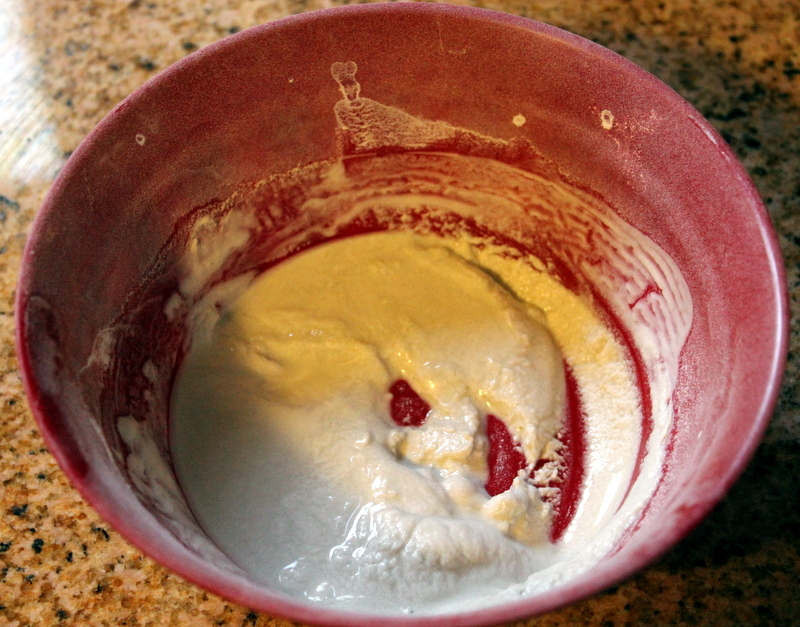 Pour some acetone into a bowl then add powder until it is a paste. Spoon the paste over the stain then cover with plastic wrap and tape the plastic wrap down. 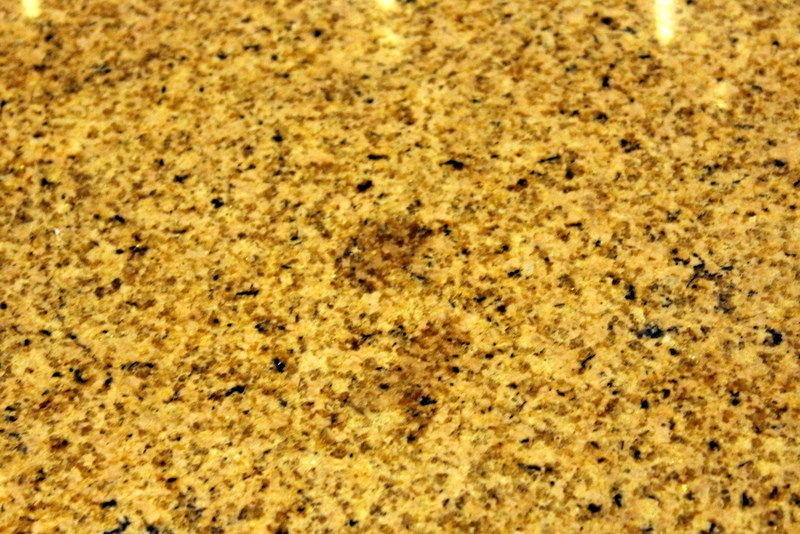 The granite will darken around the stain as the acetone soaks in. Leave it alone for about 12 hours. Uncover the paste then allow it to dry and sweep away the powder. It really works! Here are the same spots after removing the stains. All the counters are freshly sealed. Lesson learned. 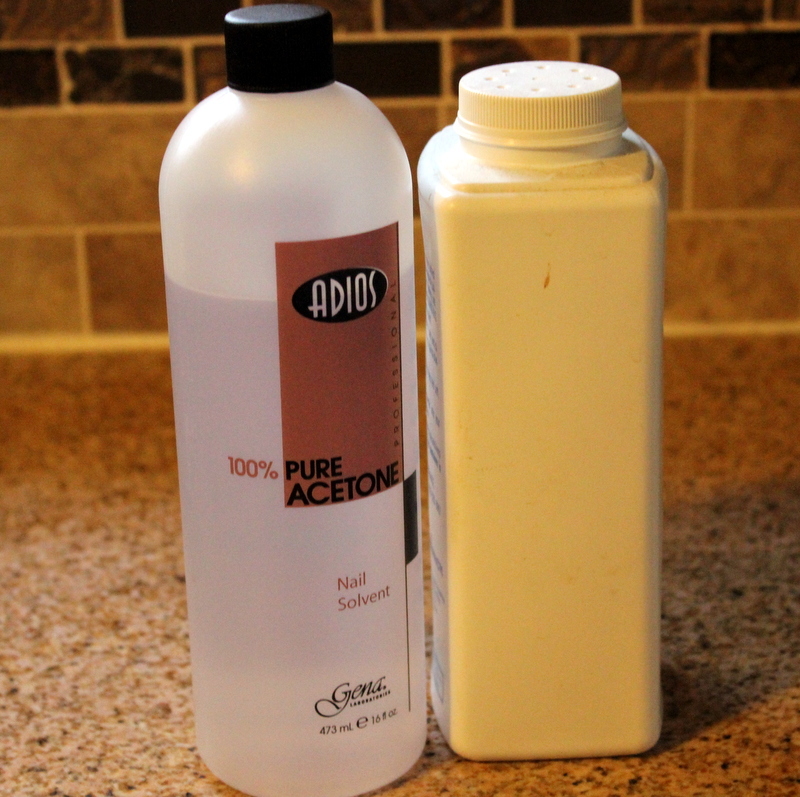 I had no idea acetone and talcum powder was the ultimate combination to clean granite counters. It sounds so easy. I know! Just make sure you try it out someplace hidden first to make sure it doesn’t discolor your stone. It works like a charm on my granite.